Voltaren Emulgel is a clinically proven pain relieving medicine. 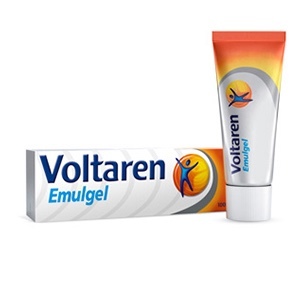 Voltaren Emulgel is used to treat pain and inflammation of muscles, joints, tendons and ligaments, due to sprains and strain, sports injuries (e.g. 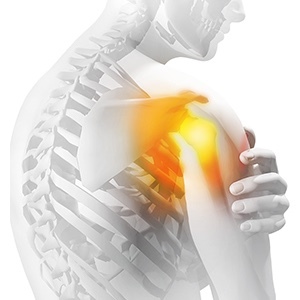 tennis elbow) and soft tissue rheumatism (e.g. bursitis, tendinitis). Voltaren Emulgel contains the non-steroidal anti-inflammatory drug (NSAID), diclofenac, which works to relieve pain and reduces inflammation (swelling). It has a cooling, moisturising effect with no strong odours. The clinically proven active ingredient, diclofenac, penetrates into the skin to the source of inflammation. It relieves pain 2x faster (50%, pain relief at 2 days vs 5 days for placebo). The emulgel technology helps the diclofenac to penetrate deeply into the skin to enhance delivery of diclofenac to the site of the pain. The emulsion gel combines the properties of a gel and a cream, so it both cools and has a moisturizing effect. Voltaren gels are topical treatments, which means that you apply them to the skin directly at the point of pain, for targeted pain relief. It is proven to reduce acute pain within one hour of application. Muscle aches and pains are very common, leaving you feeling miserable and sore. Aches and pains can be caused by a number of factors, such as injury or overuse. Back pain is very common and affects people of all ages. Most people experience back pain at somepoint in their lives. The pain usually feels like an ache, pain or stiffness in the back. Sports injuries are commonly caused by overuse, direct impact or a strong application of force, when playing sport or exercising. Voltaren Emulgel is an anti-inflammatory topical gel for the relief of muscle and back pain. The clinically proven active ingredient, diclofenac, penetrates into the skin to the source of inflammation, to relieve pain 2x faster (50% pain relief at 2 days vs 5 days for placebo). Voltaren Emulgel has a triple benefit: it provides pain relief, reduces inflammation and helps get you moving sooner. * The emulsion gel combines the properties of a gel and a cream, so it both cools and has a moisturising effect. Voltaren Emulgel contains the non-steroidal anti-inflammatory drug (NSAID), diclofenac. Diclofenac is an anti-inflammatory that works to relieve pain and reduce swelling. The Emulgel technology helps diclofenac to penetrate deeply into the skin to enhance delivery of diclofenac to the site of pain. Voltaren Emulgel has no strong odours and is non-greasy. Voltaren Emulgel for muscle pain and back pain relief is available in 20 g, 50 g, 100 g, 150 g and 180 g tubes. Voltaren Emulgel is a clinically proven, medicated topical pain reliever containing a non-steroidal anti-inflammatory. It not only provides local pain relief (including back pain and muscle pain) but also reduces inflammation. - Non-greasy, with no strong odour. - Anti-inflammatory for effective muscle and back pain relief. - Relieves pain 2x faster (50% pain relief at 2 days vs 5 days for placebo). - Medicinal pain reliever for topical use. - The Emulgel technology helps diclofenac penetrate deeply into the skin to enhance delivery of diclofenac to the site of pain. Unless a doctor or pharmacist has told you to, do not use this product with other medicines that you are taking regularly.See pack leaflet for further information and warnings.For external use only.Avoid contact with eyes.Do not use if tube seal is broken or missing. Dosage:Rub gently into the affected area 3 or 4 times daily. Do not use for more than 2 weeks except on medical advice. HOW TO USE VOLTAREN EMULGEL:Rub a small amount of gel (the amount needed depends on the size of the painful or swollen area, usually an amount ranging in size from a cherry to a walnut will be enough) gently into the affected area 3 or 4 times daily. Voltaren Emulgel may be used for up to 2 weeks for soft tissue injuries such as muscle or joint injury or according to your doctor's or pharmacist's advice. Before you start using Voltaren Emulgel, carefully read the product information leaflet included in the pack for instructions on how to use. Voltaren Emulgel is for temporary pain relief. Voltaren Emulgel Muscle and Back Pain Relief 180g (Exclusive Size) is rated 4.9 out of 5 by 28. Rated 5 out of 5 by Grassy from Actually works. I am quite disabled due to a car accident. Many leg operations later I use Voltaren Emulgel everyday, morning and night. It helps relieve the inflammation and pain within a very short time. It is a vital part of my daily routine and I am happy to recommend it to many family and friends. Amazing product.